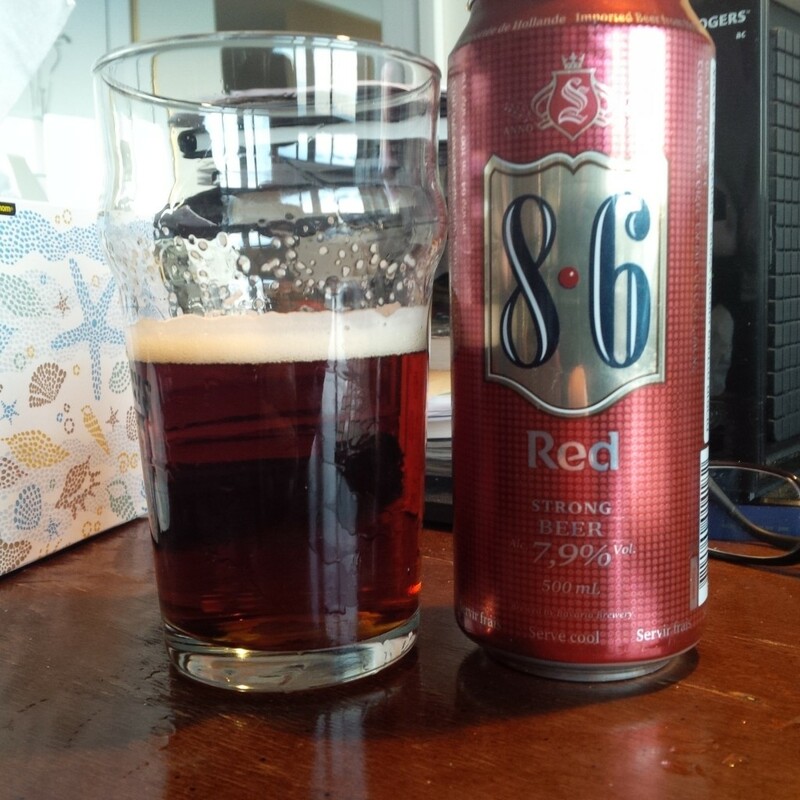 This was one of the early Ontario craft beers, appearing in the mid-80’s from Upper Canada Brewery, a pioneering venture purchased after some years by Sleeman, a mid-size independent, now itself part of Sapporo. The beers were offered in numerous styles – light lager, regular blonde, dark ale, the strong lager Rebellion, and others. IMO there was a house flavour, kind of butterscotch-like. The Dark Ale then had a spicy, banana estery quality and Michael Jackson termed it partly Belgian in taste. It was and remains all-malt, always a plus. 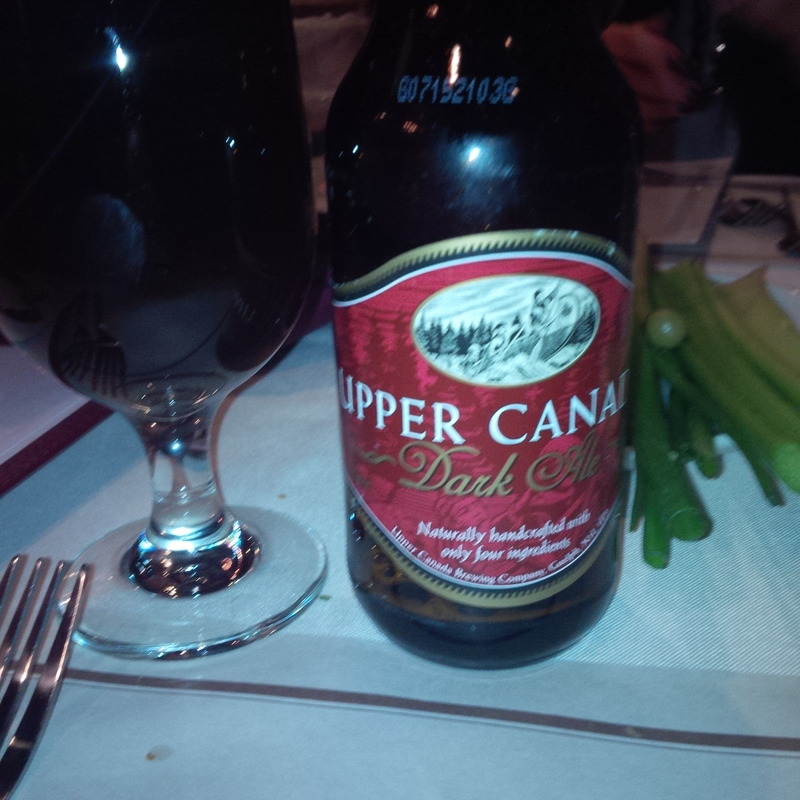 After Sleeman bought Upper Canada, the dark ale became cleaner and IMO much better, more like an English brown ale should be. It is clean but well-flavoured with turbinado sugar and earthy tones and has a suitable level of non-citric hops (Challenger) on the finish. It is the kind of brew suited to large glasses, the standard 330 ml bottle hardly does it justice. It is still one of the best “darks” in Ontario despite flying under the radar for some years now. Beers similar to it in style locally include Wellington Brewery’s County Dark Ale, Amsterdam’s Downtown Brown and Black Oak Nut Brown Ale, all made by long-established craft brewers. They represent a Canadian take on English brown ales such as Newcastle Brown, Samuel Smith Brown Ale, Mann’s Brown. While less exotic (today) than many of the weird and wonderful styles now favoured by Ontario and world breweries, a well-made brown beer is still one of the best experiences to have on the malty way. This Dutch brewer has a line of different brews, I’ve only tried them occasionally over the years. It still does its own malting, a point in its favour. The beer shown is its “red” and 7.9% ABV, strong in the beer world as that would be Double IPA territory and a patch on most bock. It is very sweet, to the point I wonder if sugar is added to enhance the malty character. Very grapey too, like a blush or labrusca wine. Yet still there is a “Belgian” character to it underneath. An unusual beer, it probably appeals to those who like flavoured coolers and that type of drink, sweet and fruity and between wine and ordinary beer in strength. I found its best use in blending, a dryish acerbic stout mixed very well with it, 2:1 respectively. I may have had an Einbecker bock only once before despite decades of experience on the beer routes. The company makes a number of different bock beers (in general a malty, strong lager). I found the bottle pictured in a loose bin in New York. Everything ostensibly looked to contrive a bad experience despite that Einbecker is in a town which reputedly invented bock beer 700 years ago. There was the green bottle; the form of display (suggesting the bottle had hung around for a while); the marked-down price. But the beer was surpassingly good, with a particular malty-molasses character only the Germans seem to get at. It’s pictured next to a port bottle because its character is akin to that wine style in some ways. A lot of German beer, at least as we get it in export form, is so-so but occasionally you can find a classic that shows easily why the country was (is) synonymous with great beer for so long. Dark brews and wheat beer styles often fit the bill, which is appropriate in that blonde lager is a relative interloper in German brewing tradition. Interesting review and I am a fan of the malty and Belgian styles but unfortunately not beers I see with regularity (or at all for that matter!) in my local area. 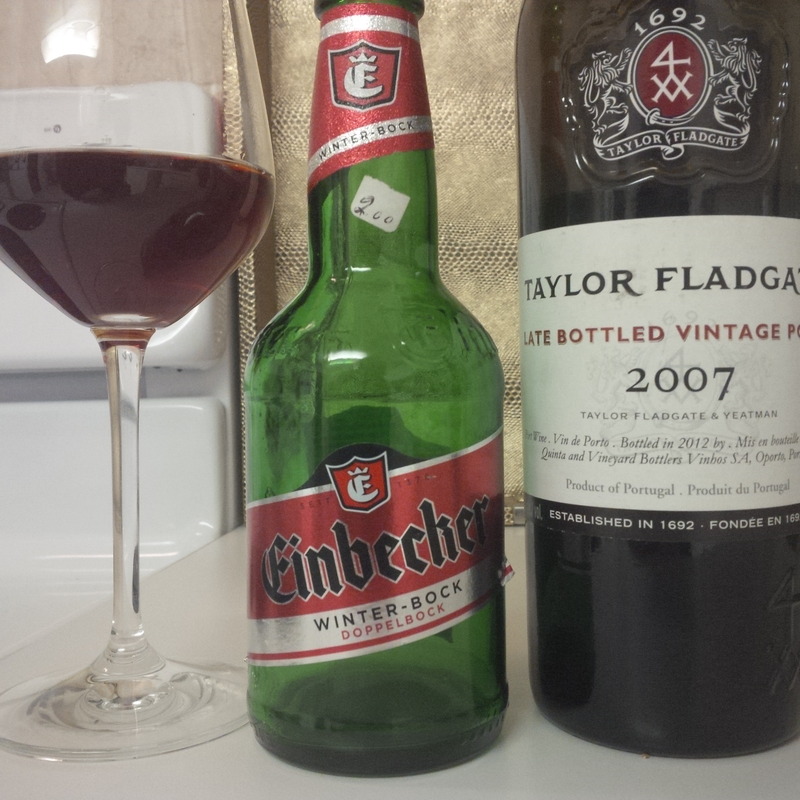 But that Taylor Fladgate 2007 LBV that wandered into the picture next to the Einbecker was one of my primary choices to help ring in the New Year! I loved upper Canada, but they had serious QC issues. I wouldn’t be surprised if that Belgian character was the start of an infection. Their brews could really spoil… Sleeman cleaned them up though. Similarly, Amsterdam’s brown was all over town when they initially moved from a pub to a brewery, and it was really hit or miss. Moreover, I was never a fan of the S04 yeast. Black Oak’s brown always seemed to be in prime condition. Nice gateway brew, especially for someone who isn’t fond of hops. That said, it’s a great example of the style and I was always happy to drink it. As for the Germans, their exports aren’t necessarily all malt, and they’re often pasteurized as well. Mere shadows of their fresh, local brews. Derek,all savvy stuff as we’ve come to expect of you. DAB Dark is a rare exception in the German group with a fresh craft-like taste, try it. This one and the regular pale lager are flash-pasteurized only and the difference shows IMO.